What was once covered with the scars of a long civil war is now filled with color, love and inspiration thanks to the work of street artists. With the help of their art, the city is breathing in a new, vibrant era. These artists aren’t looking to erase history, they are reminding us of our past and inspiring us to make a better future. When the government consistently fails to give people hope for a better future, our young artists step in! They’re our shining light, and a true beacon of hope! 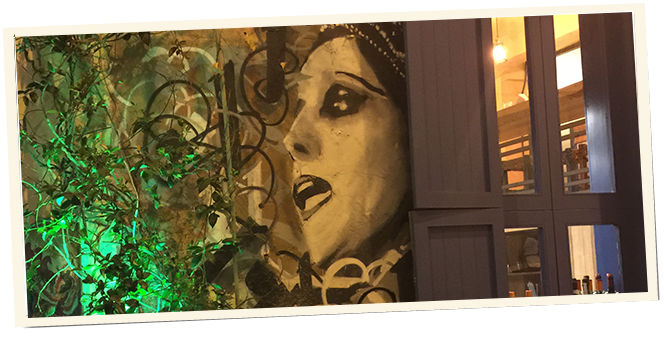 Instead of war torn buildings dominating the cityscape, there are now murals depicting Lebanese legends that remind us of our potential, and that even as a tiny country, we can produce international stars! On my recent trip to Lebanon I made a point of discovering this new face of my city, one that has been evolving over the last few years. 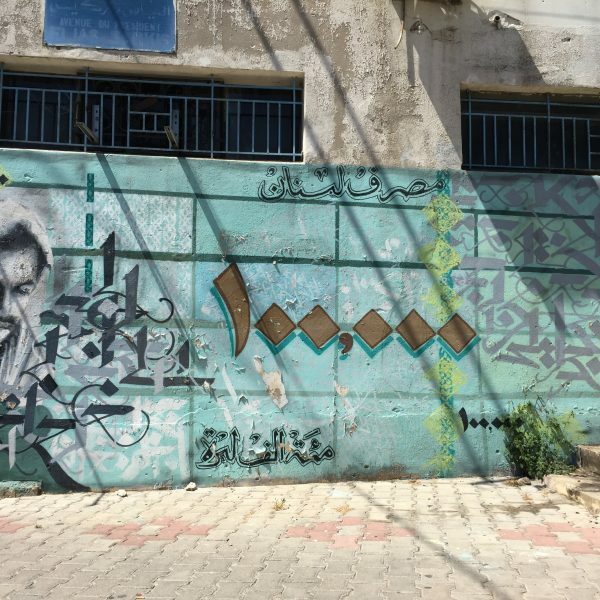 Whether it be Fairouz, Sabah or Sabih el Masri, there are voices that elevated Lebanon to an acclaimed international level depicted on the streets. One is Gibran Khalil Gibran, the writer of The Prophet (one of the most translated books worldwide). 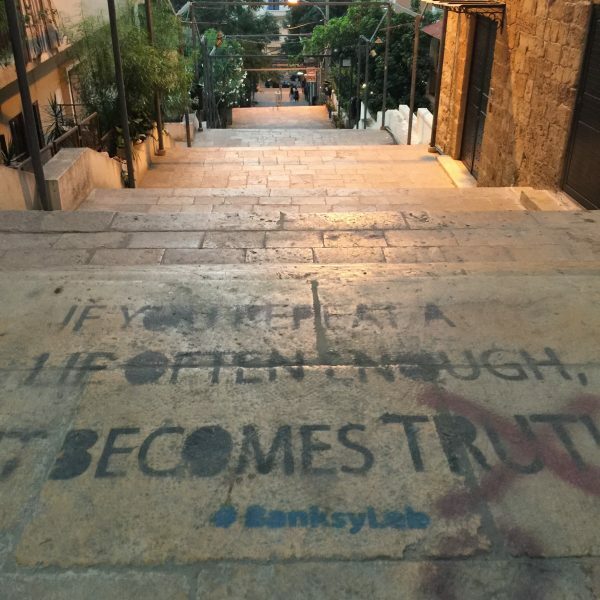 Beirut’s streets have received a vibrant facelift with inspiring quotes, stairs to brighten up your day, and even Banksy-style graffiti that defies a corrupt political class. Below are a few pictures we took of some cool work from these street artists. 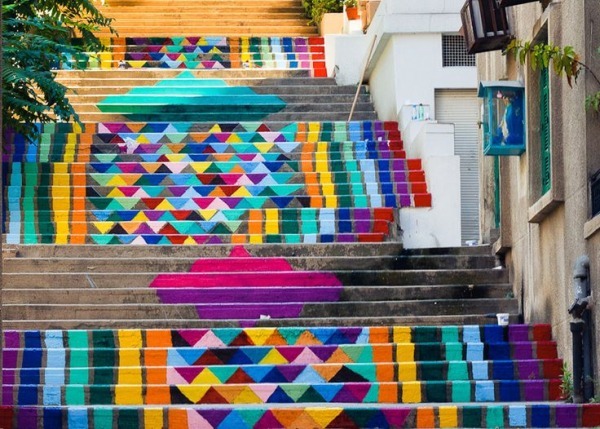 Gemmayze stairs to brighten up your day! One of my new favorites. 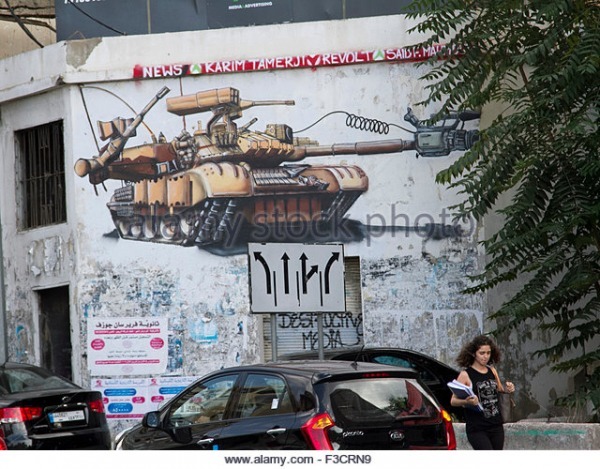 Ever since I can remember, an actual army tank used to be stationed here as an army checkpoint. On my return to Beirut I was pleasantly surprised to see that an artist took initiative to, not forget what was there, but to create a peaceful form of expression. On top of Saint Nicholas stairs, a quote alluding to some politician’s train of thought! 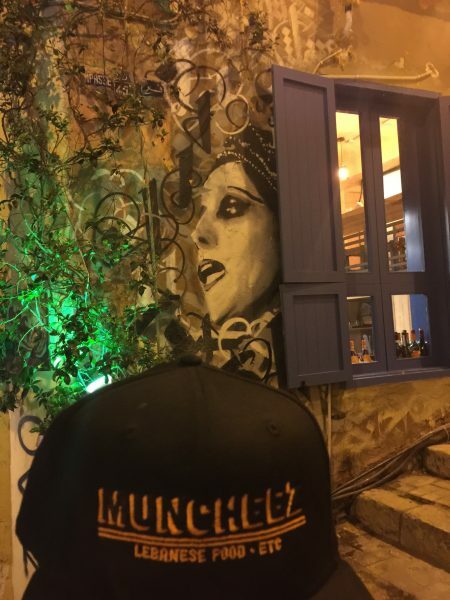 Our very own Muncheez hat with the famous Lebanese diva – Fairouz. Lebanese artists have been on the rise. I have had the pleasure to work with a few and commission some art for our Muncheez locations. Be on the lookout for some really cool art at our locations soon! 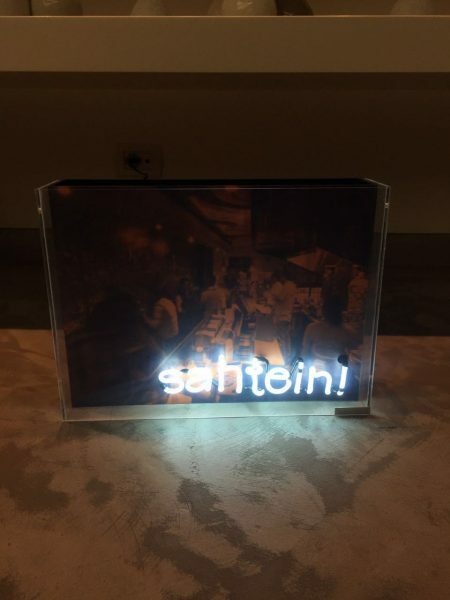 The first piece is our custom made Sahtein neon sign. 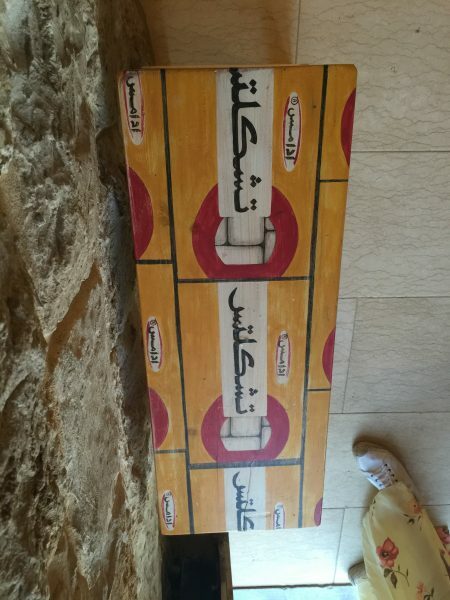 Made by the one and only Hania Rayess. It will be hanging on the wall of our Georgetown location very soon. 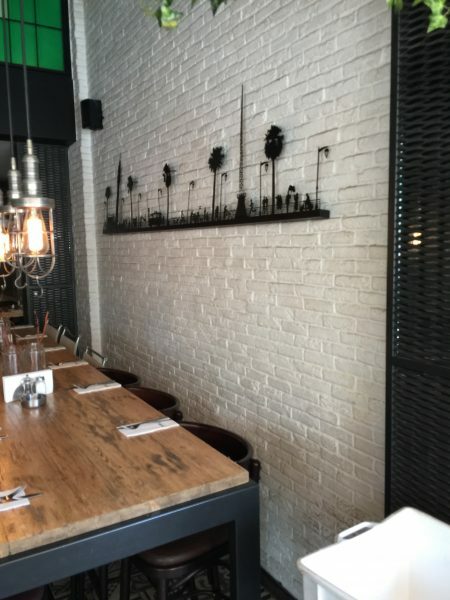 Here are a few more inspiring pieces that we wish to include in our future locations.